– Buy second hand books. You can ask in the UL Students’ Union if they have the text that you are looking for, it will be cheaper than the bookstore for sure. At the end of the semester you can hand the book back into the Students Union where they will relist it for sale. As soon as the book is sold, the students union will email you and you can go collect the money back! – For the cinema you can check offers from the Odeon. They have special tickets for Students and Teens, which offer lower prices than Adult ticket prices, and you can take advantage of their ‘Off peak’ prices for off-peak day visits, so you get to see their latest releases for even less. 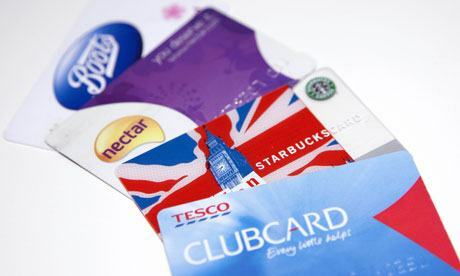 – Always bring your Student ID card in your wallet and ask for a student discount in the stores. Many stores have student discounts of 10-20% which aren’t always advertised in store. – Use discount tickets! Mydealpage.ie is a good website to find the most convenient deals and online discounts in the same place. You can find promotions on Groupon, Livingsocial, or Deal Rush, divided by category and localization. – You can also find great discounts for students on clothes, hostels, technology, and doctors on Campus.ie. – Dress vintage and cheap! Buy in Charity shops! Don’t be ashamed to go to a secondhand store; you will not believe the good brands than you can find for a very small price. Be patient and check every corner of the store – you will find amazing things for sure. – At certain times of day, usually in the evenings, some shops (e.g. Supervalu, Dunnes Stores) have price reduced items for a limited time. So every day bargains can be gotten! – Join the Clubs! If you go to the same supermarket often, ask the cashier for information about the Membership Programme of the store. In general you can sign up for free, giving very simple information, and your purchases will start to transform into points to redeem. – Buy Online! Shopping online is the most effective and comfortable way to compare prices and avail of the best offers. You can also check the Delivery Saver Plans of Tesco, they have options from €7.50 a month. SuperValu in Castletroy also have both delivery and an option to click and collect from the store. Keep an eye for promotions as most of these stores offer a substantial discount from your first order. UL Bike Doctor, free bike maintenance outside UL Students Union every Tuesday. – If you sometimes use the bus to go to university, and in the same day have more than 3 journeys: Saver day ticket is the best option for you! It costs €4.20 and you can purchase it from the driver on the local Bus Eireann route. There is also a student leap card, which you can get from the students union. Once topped up, this card gives 20% discount on pay as you go fares. – Another alternative is the Euro bus. This goes less frequently, but you can purchase a multi ticket for as little as €1.25 per trip. This bus has two routes into the city, once slightly longer than the other. The multi trip doesn’t expire and you can stamp each journey as you use it. – Get a bike! At the end of the semester you will have saved a lot of money and gained good legs. As well as being practical, there are beautiful cycle tracks all over campus, as well as the city. It takes 20 minutes to cycle into the city center from UL. Second hand bikes can be picked up from €60 on Adverts or Donedeal. -After getting the bike, you can do the necessary maintenances at UL Bike Doctor during the Farmers’ Market in the campus on Tuesdays. This is a free service to encourage students and staff to cycle to the University. What is your secret to saving money in Limerick? Do you have some good tips to share with us? Tell me about them in the comments below.